Train and Be Treated Like A Pro! We are excited to announce our partnership with the Ochsner Sports Medicine Institute. Whether you have a nagging injury that won't let you perform at your peak or you slid into first wrong and tweaked your ankle, we've got you covered! 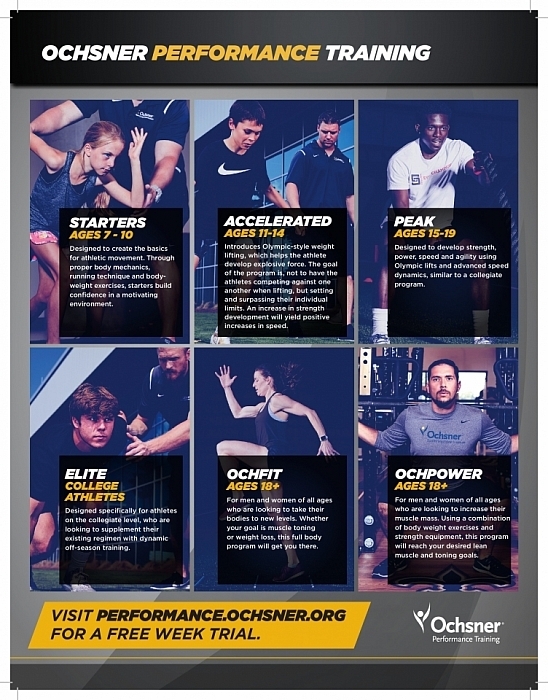 Ochsner is providing priority access to our players to get you seen right away -- faster care to get back on the field fast! PlayNOLA and Ochsner Sports Medicine want to get you back on the field as quickly and safely as possible. And we want to make sure you stay on the field by coming back stronger than before and maintaining your fitness overtime. You can learn more about one of their specialists by reading this news piece and take a look at some of what Ochsner has to offer in the useful links below.